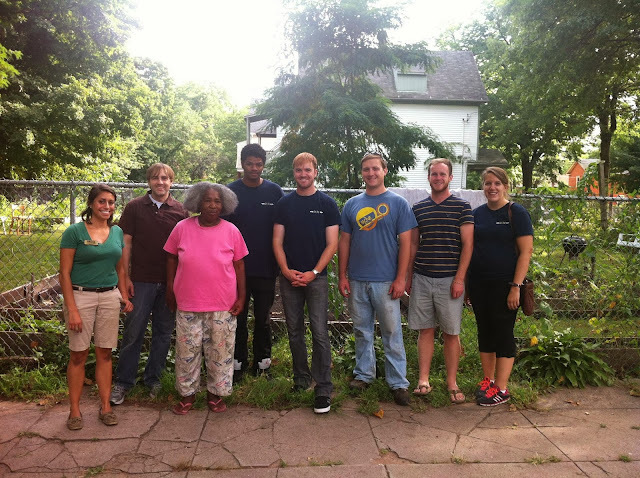 Pictured: Daniella of CB&O, Mrs. Felder, and the 6 student volunteers from Yale Divinity School. On Friday, August 23rd, Neighborhood Housing Services of New Haven participated as a host site for the Yale Divinity School’s Day of Engagement. 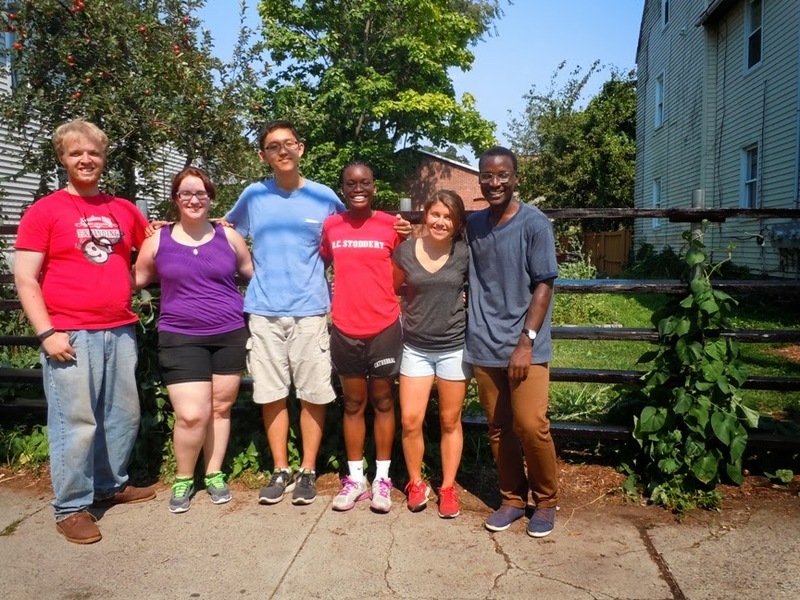 The Community Building and Organizing Department was joined by six dedicated Yale Divinity School students at the corner of Ivy Street and Shelton Avenue in Newhallville, where they participated in projects at the Ivy Street Community Garden and at Mrs. Ida Felder’s house next door. 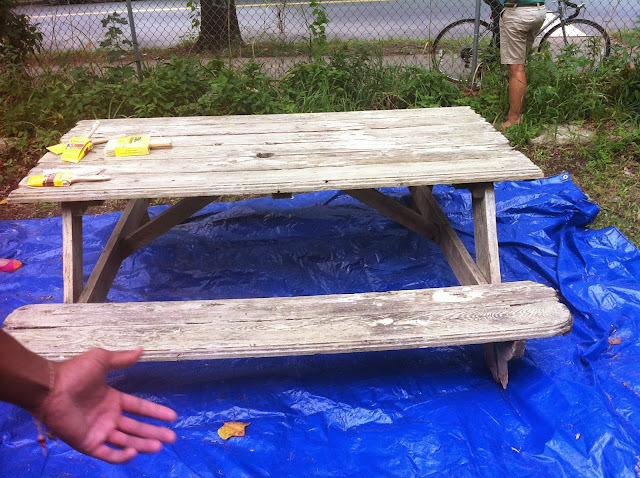 Two of the students and I joined up with some of the local gardeners by preparing and staining the garden's picnic table and benches. We also did some minor landscaping and trash removal from the garden site. Kim, Daniella, and Stephen from the CB&O team worked with the other four students in Mrs. Felder's backyard, helping to arrange and repair parts of her fence by securing loose posts and removing broken ones. The group also cut away a number of dead trees and even helped her to repair her trusty clothesline. Through this work, the YDS students were able to make new relationships within the New Haven community and learn more about ongoing community projects! Thank you to our YDS volunteers! During the week of August 19th, NHS hosted a group students participating in Yale FOCUS 2013. 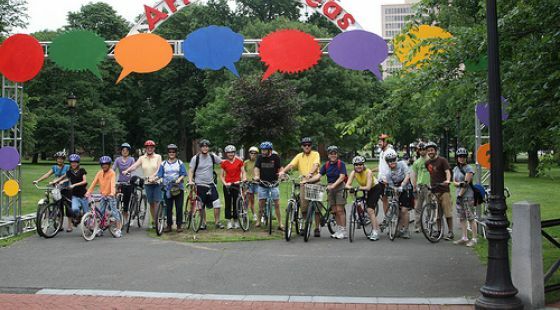 Yale FOCUS is a weeklong volunteer-based program for Yale students who hope to engage themselves within the City of New Haven by partnering with a local non-profit, learning more about local issues, leaders, and resources, and ultimately finding their own role within the greater New Haven community. 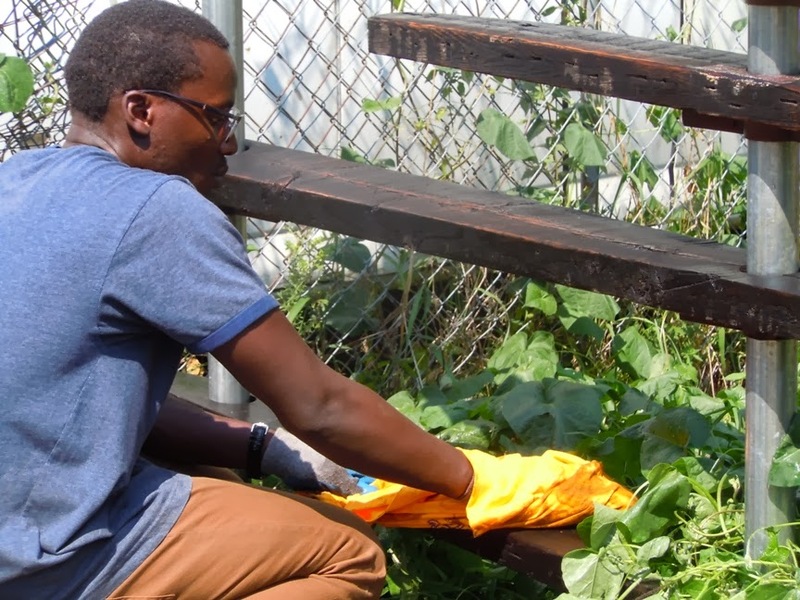 On Monday, the Community Building and Organizing team and the Yale FOCUS Group did some landscaping and street clean-up on West Division Street in Newhallville. We planted some trees and other plants before placing mulch in the yard of 319 West Division Street, a renovated NHS home that is waiting for a homebuyer.The FOCUS Group then connected with some other residents on the street and helped to add mulch to their yards, as well. On Tuesday, the group continued their landscaping activities on West Division Street before picking up litter on several blocks in the area. 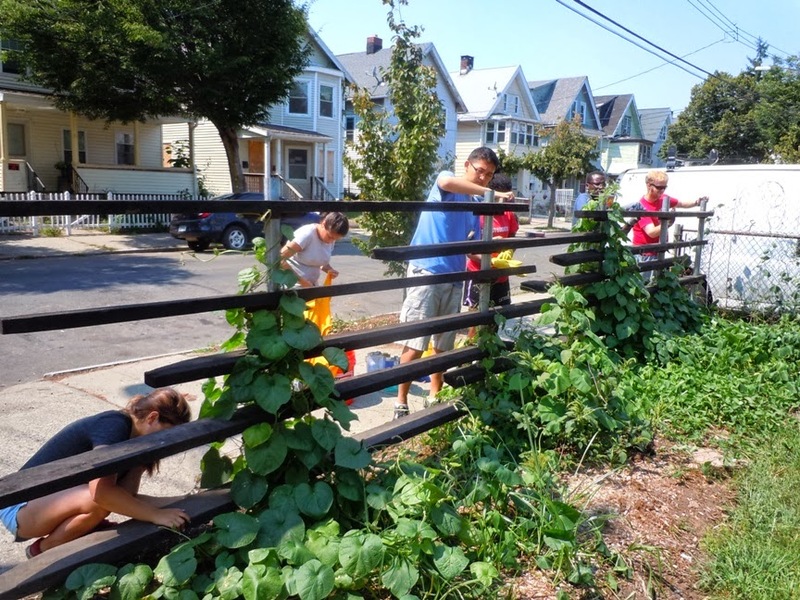 Later in the afternoon, the group prepared and stained the fence surrounding the Stevens Street Community Garden in the Hill neighborhood. The day concluded with a few hours of undertaking property observation surveys, noting the exterior conditions of many properties in the Newhallville community to determine areas in which we should focus our community revitalization efforts. Wednesday continued the surveying theme, this time by taking property observation surveys of 100 houses on Newhall and Lilac Streets. Wednesday afternoon was dedicated to collecting resident experience surveys, which involved knocking on doors and engaging many Newhallville residents. Thursday, the final day, was hampered somewhat by some less-than-perfect weather. 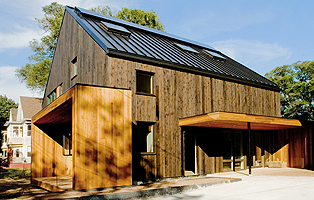 Nevertheless, the FOCUS group took a thorough tour of the Home Improvement and Energy Conservation Lab, learning about its green and energy-efficient features. Afterwards, as the rain continued to pour, the group was able to spend some time in NHS’ office, helping to mail out 90 resident experience surveys to Newhallville residences. Later that evening, Stephen, Daniella, and Kim of the CB&O team attended the FOCUS dinner event at Dwight Hall to thank the student volunteers and their host organizations. Overall, it was a great week filled with community engagement, learning experiences, and both personal and community growth. Thank you to our Yale FOCUS volunteers! Overall, it was a great week filled with community engagement, learning experiences, and both personal and community growth. Thank you to our Yale FOCUS volunteers! 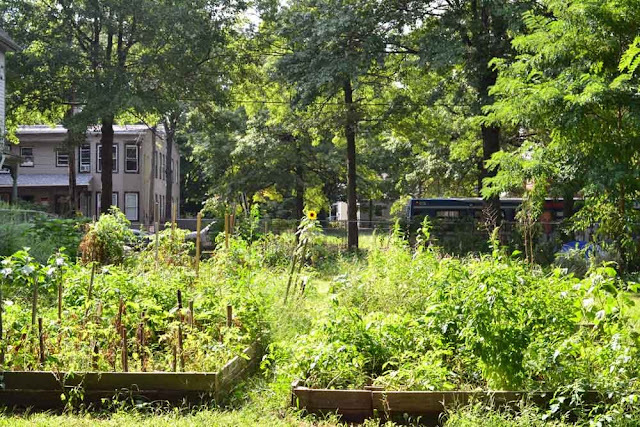 In order to shed light on the abundance of wonderful and successful community gardens scattered all throughout the Newhallville neighborhood, a group of community leaders has begun a project to construct a greenhouse on site at one of these urban farms. 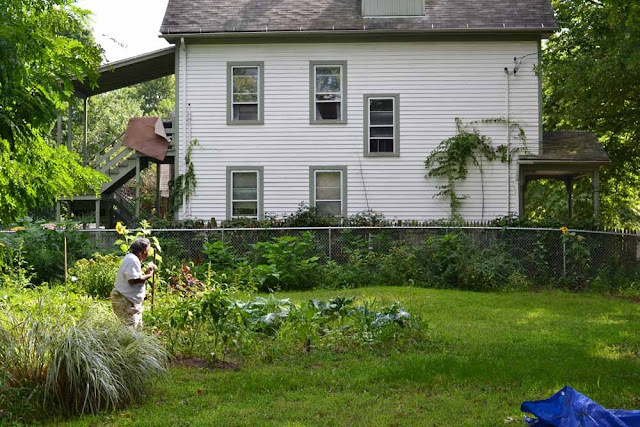 After much discussion, the group selected the Ivy Street Community Garden as the future site of this greenhouse. 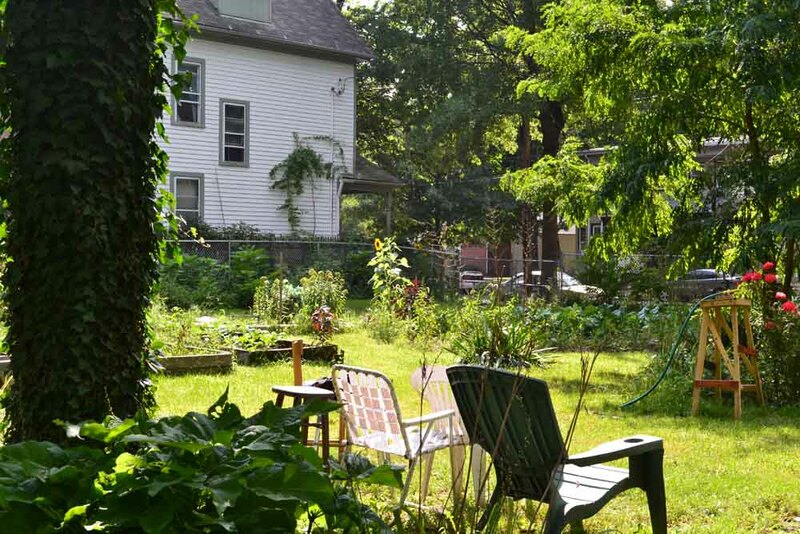 The Ivy Street Community Garden, located at the corner of Ivy Street and Shelton Avenue in Newhallville, is an ideal location for a greenhouse because it is nestled between the Lincoln-Bassett School and St. Andrews Church, which is a host site for the Solar Youth programming. The garden is also meticulously maintained by a number of avid neighborhood gardeners, who have now become an integral party in the planning process. Eight additional groups have committed to the success of the greenhouse project: the City of New Haven’s Livable Cities Initiative, the New Haven Land Trust, Lincoln-Bassett School, Solar Youth, SEEDnh, Common Ground High School, and Neighborhood Housing Services of New Haven. The planning committee wants to ensure that this greenhouse will be a neighborhood icon that is built to stand all tests of time and weather. The greenhouse will measure 15 feet wide by 30 feet long. It will serve as a model facility where gardeners will be able to extend their growing season while both students and community residents will be invited to learn urban farming practices and sustainable energy techniques. We are also hoping that this greenhouse will inspire the construction of similar structures in other Newhallville gardens. The Ivy Street Community Garden Greenhouse Planning Committee is very excited about this project and thrilled at the progress it is making. Groundbreaking should take place in early fall. When the greenhouse is completed, the committee will be hosting an open house, inviting everyone from across the city to see the finished product! 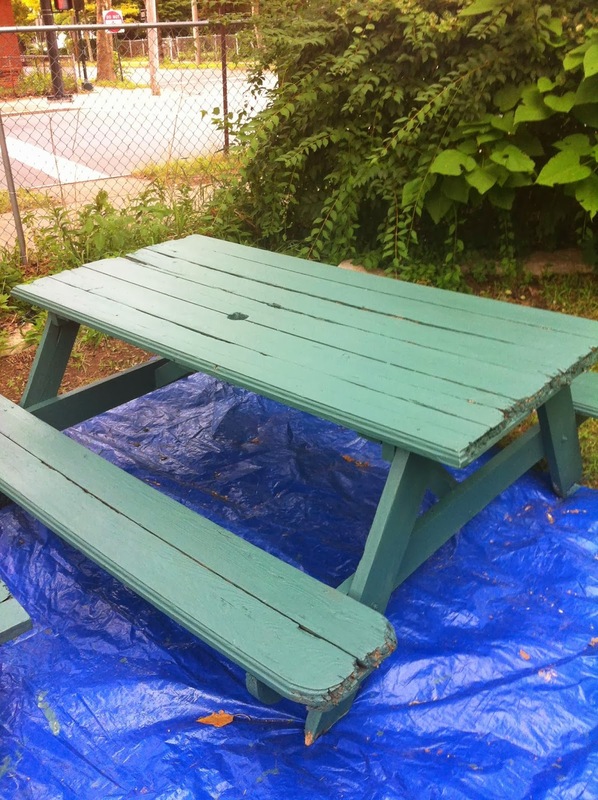 If you are interested in learning more about the greenhouse project, please call the Chair of the Greenhouse Committee, Velma George, at (203) 432-6189. 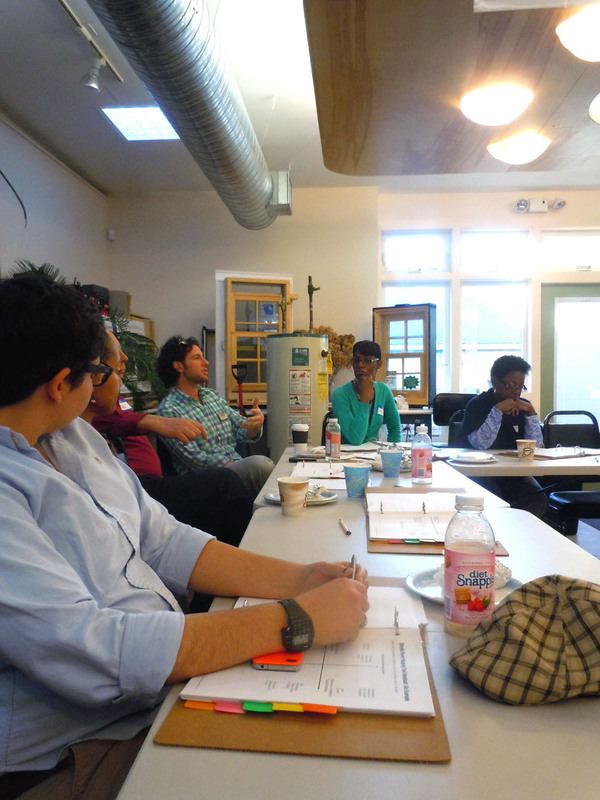 The planning team has also broken down into three committees: Design & Build, Programming, and Resource Development. If you have a special skill or interest in any of these areas and would like to volunteer as a committee member, please reach out to us by emailing Stephen Cremin-Endes, the Community Building Specialist at NHS of New Haven.